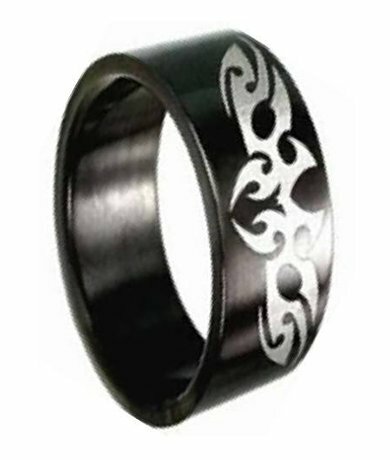 Mysterious and edgy, this 8mm black stainless steel band is a favorite among men's tribal rings. 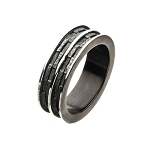 It has a glossy black stainless steel finish and a silver-tone tribal design on one side, with a traditional fit on the inside. 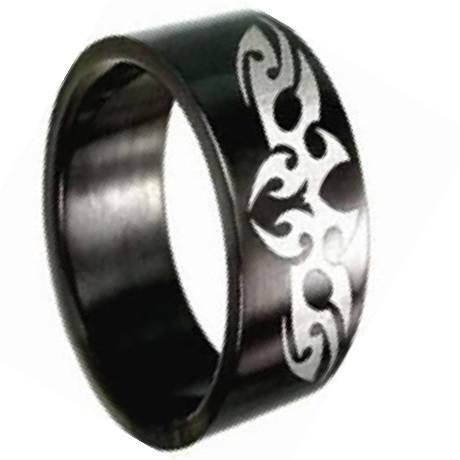 Men who want a unique and eye-catching ring will love the masculine look of this black tribal ring.